A new and modern guest house, belonging to a religious Jewish family that lives in Milan. 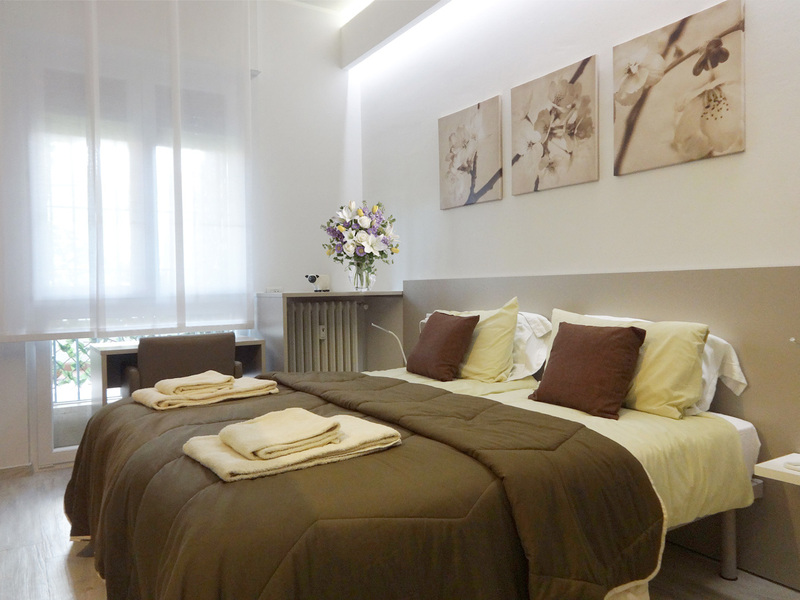 The Chez Romy K Bed and Breakfast offers two elegant and modern rooms, able to accommodate up to 4 people eachone. 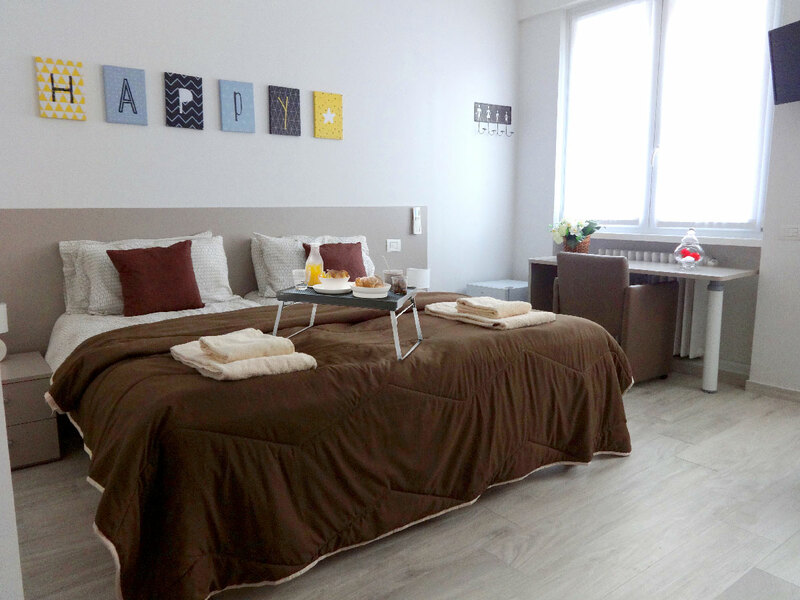 The Chez Romy K Bed and Breakfast offers two elegant and modern rooms, able to accommodate up to 4 people eachone. 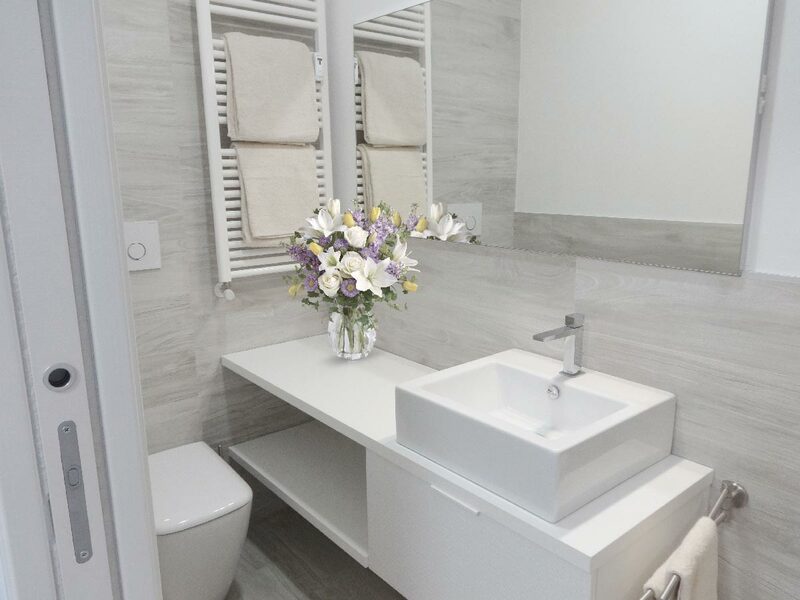 Provided with wifi service, satellite TV, air conditioning, private bathroom, desk and chair, electric hair dryer and shared breakfast room to give you a pleasant stay in the city, for a short or long journey. Each room is bright and spacious, furnished and equipped with all necessary comforts. Breakfast serves excellent fresh products strictly kosher. The cleaning service of the rooms is daily and the change of sheets and towels is every three days. Breakfast, typically Italian and Kosher style, is with fresh and nutrient ingredients in summer and warm and rich in winter. From the tradition of Bed and Breakfast, they offer hospitality to spend and enjoy the nights and morning meals, tasting warm and human dimensions but also to have the occasion for a cultural and rich experience for you. 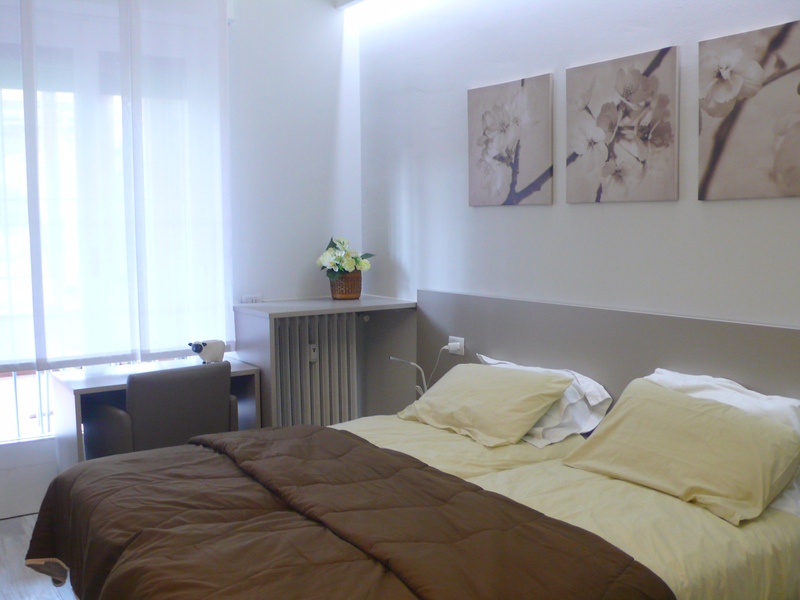 The ChezRomyK Bed and Breakfast offers two elegant and modern rooms, able to accommodate up to 4 people eachone. 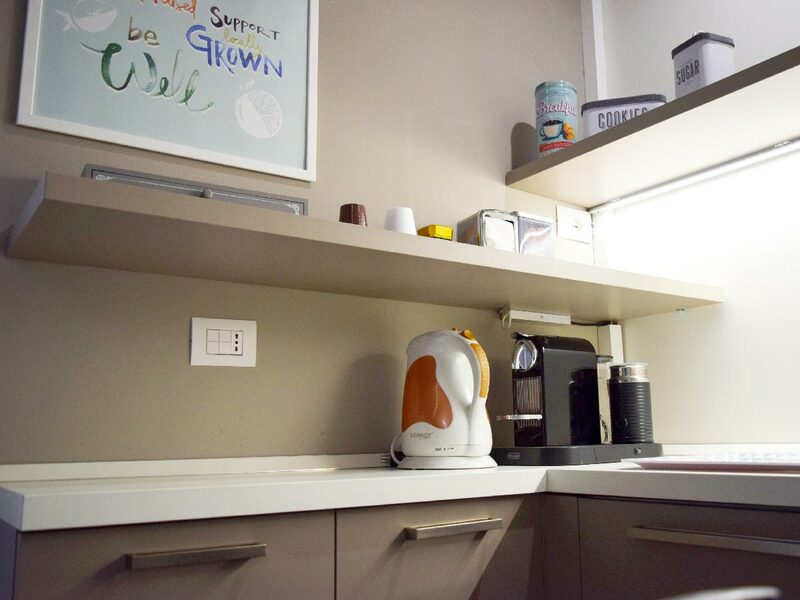 Provided with WiFi service, satellite TV, air conditioning, private bathroom, desk and chair, electric hair dryer and shared breakfast room to give you a pleasant stay in the city, for a short or long journey. Within walking distance from the Duomo, along the car free shopping avenue of the Via Dante, lies the impressive castle of the Renaissance Sforzesco family that once ruled Milan. It now hosts a collection of civic museums and offers access to the large Sempione park. Meandering through the courtyards, you can admire the architecture and pop into different museums that exhibit, among others, Michelangelo’s Rondanini Pietà, Mantenga’s Trivulzio Madonna and boast ceilings painted according to designs by Leonardo da Vinci. The castle is worth a visit even in you are not going to the museums. Galleria Vittorio Emanuele. This 18th century glass and iron covered gallery is home to many beautiful shops, restaurants and cafes. Look up to see the magnificent central dome. Look down to see the emblems on the mosaic floor representing the cities of Milan, Rome, Florence and Turin. If you want to return to Milan you are supposed to place your heel on the emblem of Turin (the bull) and rotate clockwise. It’s an easy walk from the Duomo, through the Galleria and on to La Scala, Milan’s famous opera house which opened in 1778. Here some of the world’s best singers and orchestras can be heard and famous ballets seen. If you cannot book tickets to one of the performances, a visit to the Museo Teatrale alla Scala also includes a visit to one of the boxes where you can look down on the stage. The Great Synagogue of Milan is the Ashkenazi synagogue located at 19 Guastalla Street (in the southeastern corner of the old city of Milan). The area once served as the Jewish quarter of Milan. The synagogue that was almost completely destroyed during World War II was completely restored and one small wall remains as a souvenir from the original building. Lake Garda is the largest lake in the country. Also discover some pretty places including Lonato del Garda, a town a few kilometers from the lake. Lake Como is beautiful. Water and mountains meet so well. The views and the atmosphere are magical. Lake Iseo is less known compared to other lakes in Lombardy and yet it deserves attention. 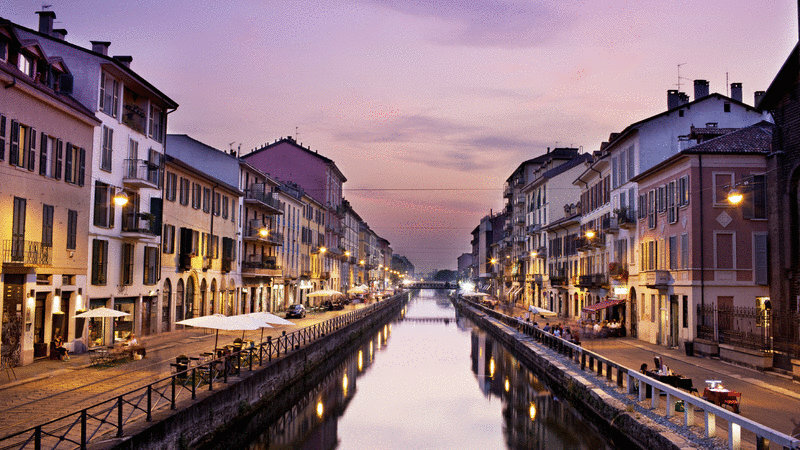 Bergamo is 60 kilometers from Milan. It can be easily reached by train. The city has a medieval city (the upper town). You can get there on foot or by funicular from the station. Within walking distance from the Duomo, along the car free shopping avenue of the Via Dante, lies the impressive castle of the Renaissance Sforzesco family that once ruled Milan. It now hosts a collection of civic museums and offers access to the large Sempione park (see point 8). Meandering through the courtyards, you can admire the architecture and pop into different museums that exhibit, among others, Michelangelo’s Rondanini Pietà, Mantenga’s Trivulzio Madonna and boast ceilings painted according to designs by Leonardo da Vinci. The castle is worth a visit even in you are not going to the museums. There are regular flights to Milan from Tel Aviv. 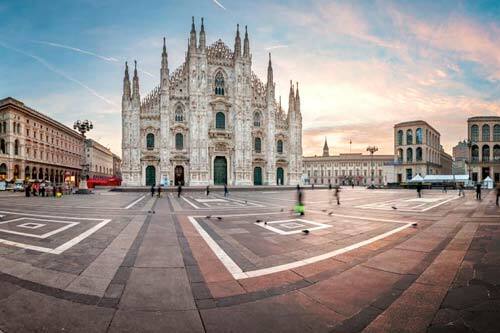 Two airports available for Milano: Milan–Malpensa Airport and Linate Airport. From Linate Airport: take Bus 73 (16 stops) stop San Babila, take underground M1 direction Bisceglie (9 stops) to Gambara, walk about 6 min (550 m) to Via Pasquale Fornari the first on the right for Via Marostica. Malpensa Airport: take train XP1 Milano Nord Cadorna (4 stops) to Piazzale Cadorna-Triennale, take underground M1 direction Bisceglie (5 stops) to Gambara, walk about 6 min (550 m) to Via Pasquale Fornari the first on the right for Via Marostica. From the Central Station: take underground M2 direction Assago Milanofiori Forum (4 stops) to Piazzale Cadorna-Triennale, take underground M1 direction Bisceglie (5 stops) stop Gambara, walk about 6 min (550 m) to Via Pasquale Fornari the first on the right for Via Marostica. Room 1, for couple: EUR 105 per night. For each additional person in the room is EUR 25 per night. Room 2, for couple: EUR 95 per night. For each additional person EUR 15 per night. Prices include a kosher breakfast. The place can decide to change rates during shows, festivals and special events in the city.